Skin lesion removal and mole removal are popular treatments for those who wish to have bumps or imperfections removed. Moles and skin lesions can affect anyone of any age and though they are usually harmless, they can affect a person’s confidence. Mole removal and Lesion removal is straight forward and can be done in different ways. If you have a mole or skin lesion you would prefer to be without, consider the best mole removal and lesion removal treatment at the Specialist Skin Clinic in Cardiff or London. What can be removed using lesion removal treatments? 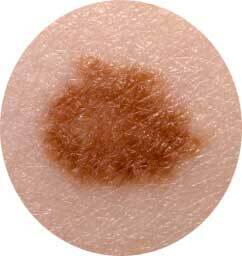 Are there different types of mole and lesion removal? Yes, there are different types of mole removal and lesion removal and the one suggested for you will be dependent on the type of lesion. A popular type of mole removal and lesion removal is laser treatment, a non-surgical way of getting rid of warts and moles. However, there are other types of treatment such as cryotherapy which involves freezing off the lesion. Are mole removal and lesion removal treatments safe? Removing any type of skin lesion is a relatively straight forward procedure with very few risks involved. Thousands of people have moles, warts, skin tags and cysts removed each year. If you have any worries or concerns about mole removal or lesion removal we are happy to answer questions to help put your mind at rest. Is surgery required for mole removal or lesion removal? In some cases surgery may be required to remove a mole or lesion. The surgery is minor and in many cases an anaesthetic will not be needed. If the procedure does require an anaesthetic it will be done using a local anaesthetic; this means you stay awake but the area surrounding the removal is numbed. Who will perform the mole and lesion removal? All our mole removal and lesion removal treatments are performed by one of our qualified practitioners and are supervised by Doctor Maria Gonzalez. How much does mole & lesion removal cost? Exact prices to be confirmed during your consultation for Mole & Lesion Removal treatment.